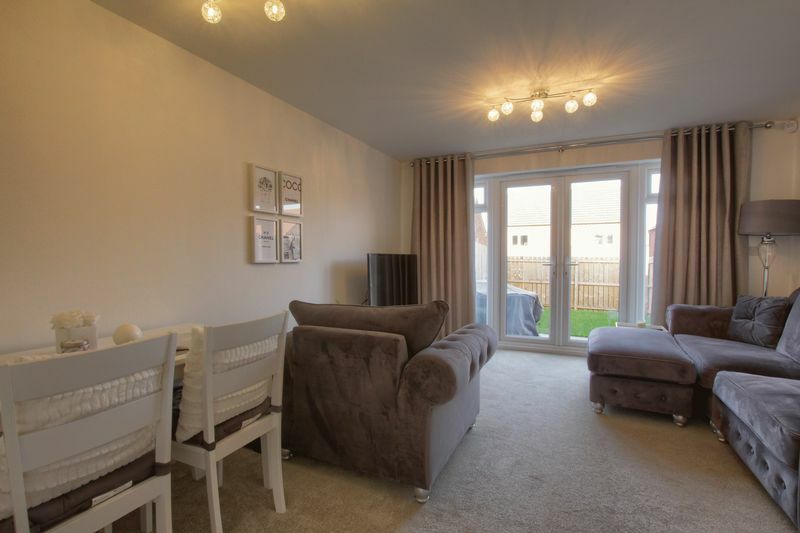 Situated on what is quickly becoming known as a highly sought after area, is this stunning two bedroomed terraced home built by 'Bellway' to their popular 'Ash' design. 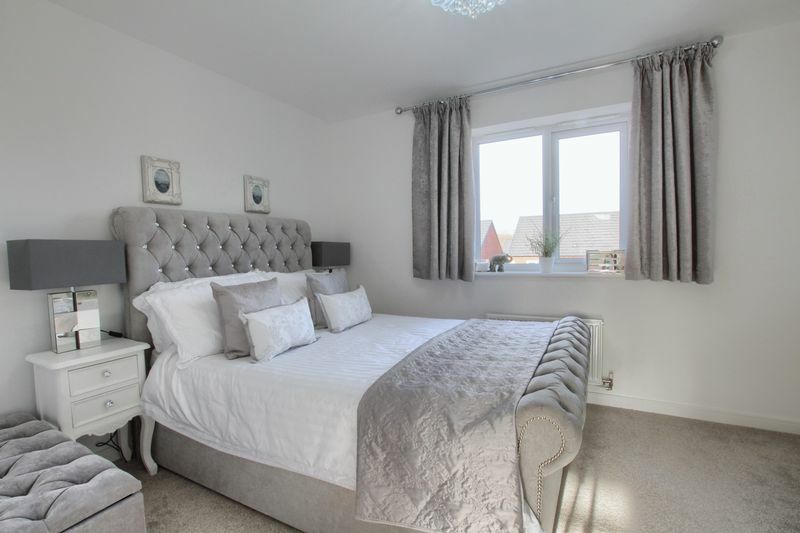 Being the former Show Home, the property benefits from being finished to the highest of standards and is tastefully decorated to the neutral pallet. 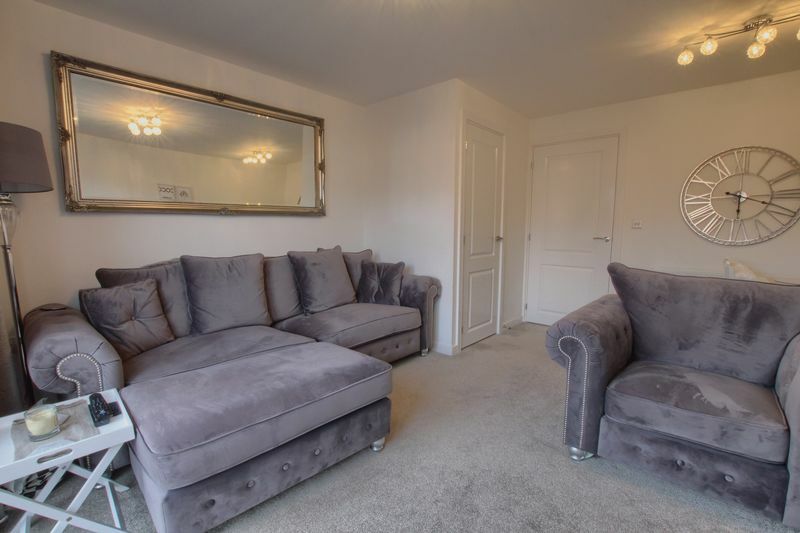 The accommodation benefits from gas central heating and uPVC double glazing and principally comprises; entrance hall, cloak / WC, fitted kitchen and living room / dining room. 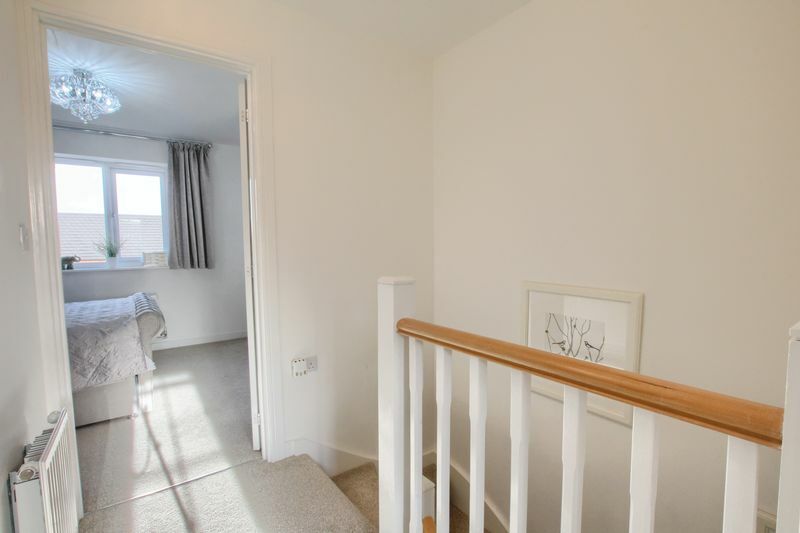 To the first floor; two double bedrooms and bathroom / WC. 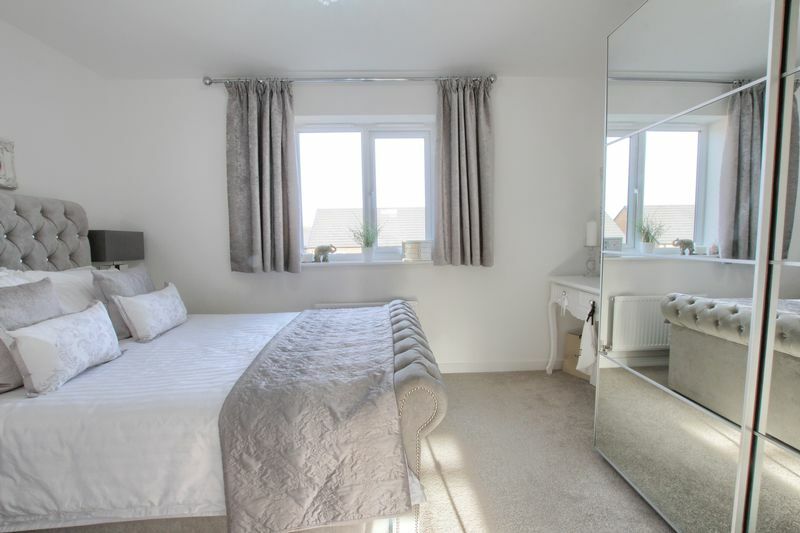 This property is a Harron Homes Part Exchange Property which is subject to a £250.00 deposit on reservation. Composite entrance door to the front, hard wearing entrance mat and single radiator. Stairs to the first floor. 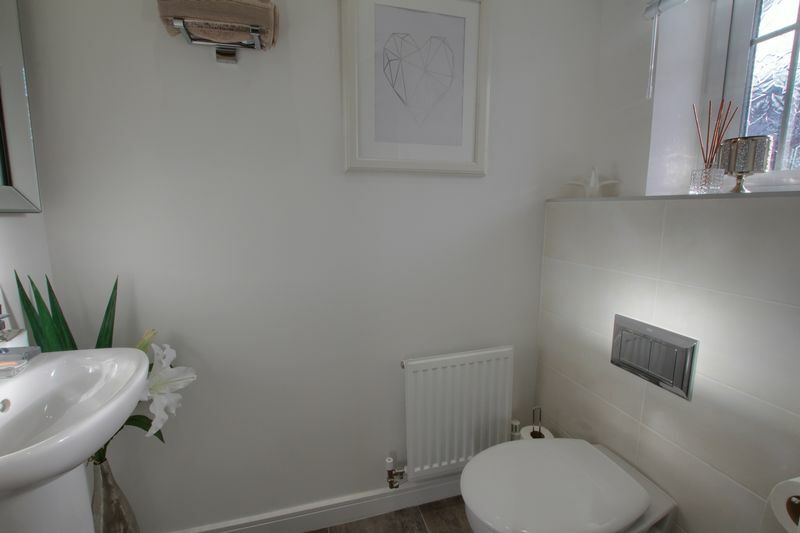 Modern white suite comprising dual flush WC and floating wash hand basin with mixer tap. Tiled surrounds, radiator, down lights and uPVC double glazed window to the front. 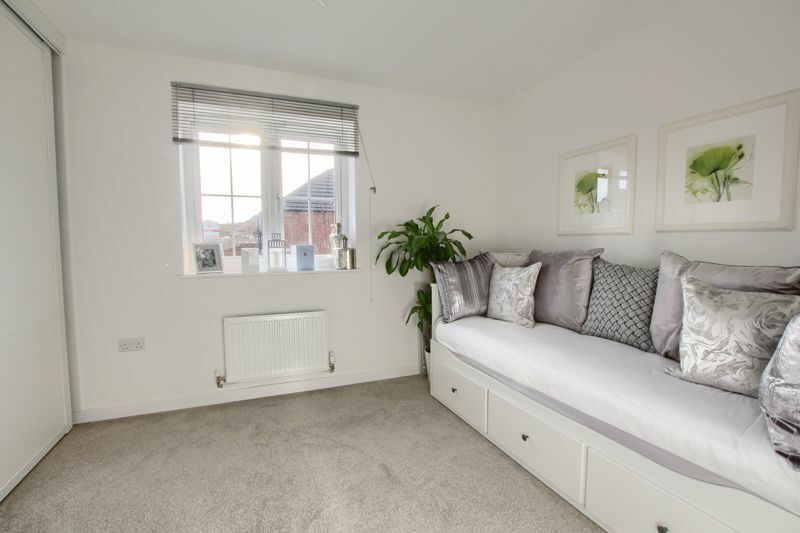 A practical and carefully designed room with a stylish range of wall and base units incorporating drawers finished with laminate worktops and tiled surrounds. 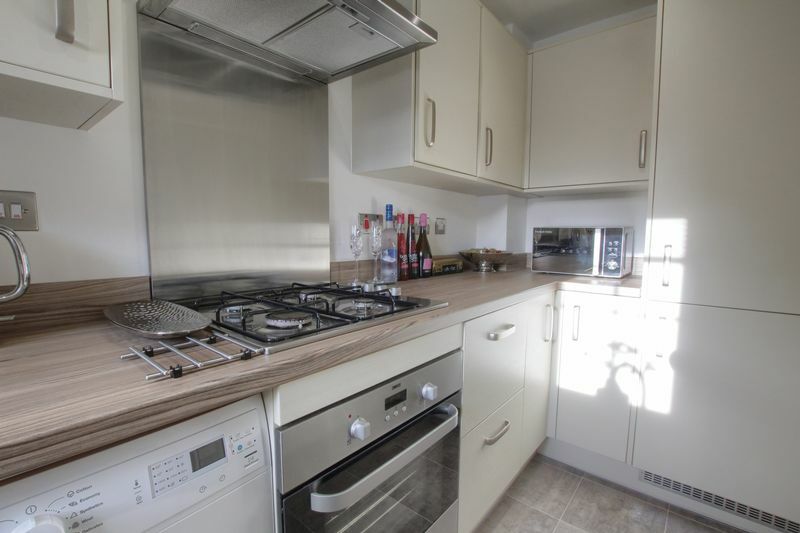 One and half bowl inset sink unit with mixer tap, built in stainless steel electric oven with gas hob, stainless steel splash back and cooker hood over. 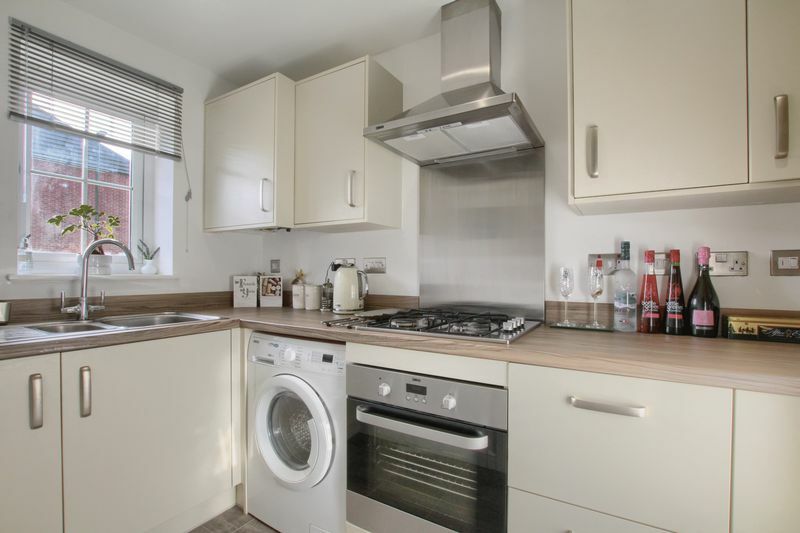 Integrated fridge freezer, plumbing for a washing machine and 'Ideal' gas central heating boiler concealed by wall unit. Down lights and uPVC double glazed window to the front. 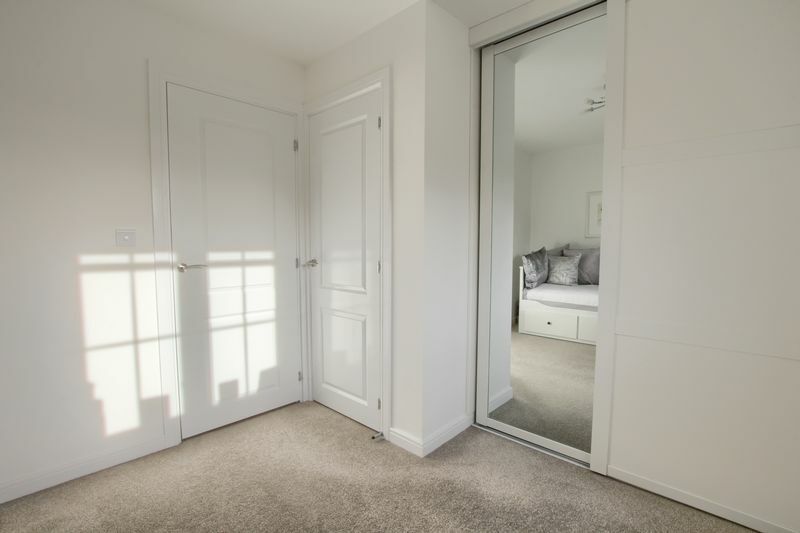 A light and airy room with uPVC double glazed French doors to the rear garden. Useful under stairs storage cupboard and double radiator. 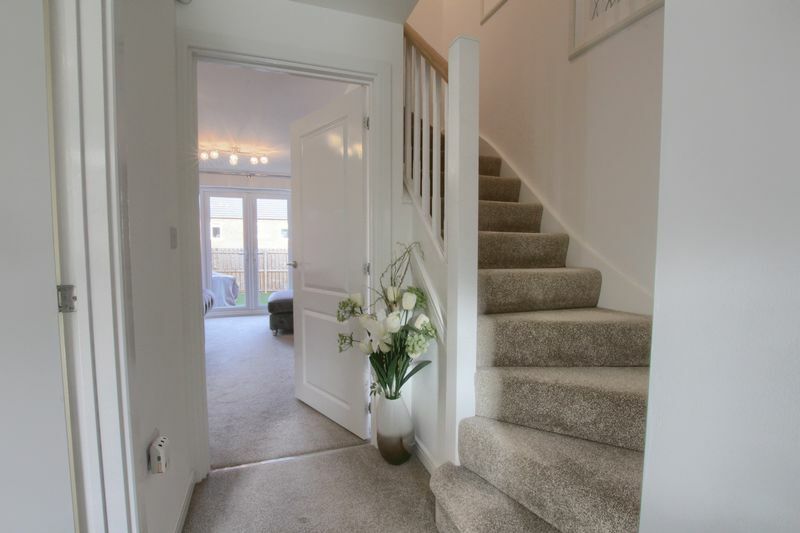 Attractive spindle balustrade and single radiator. uPVC double glazed window to the rear, single radiator and access to loft space. uPVC double glazed window to the rear, single radiator and useful storage cupboard and built in wardrobes. 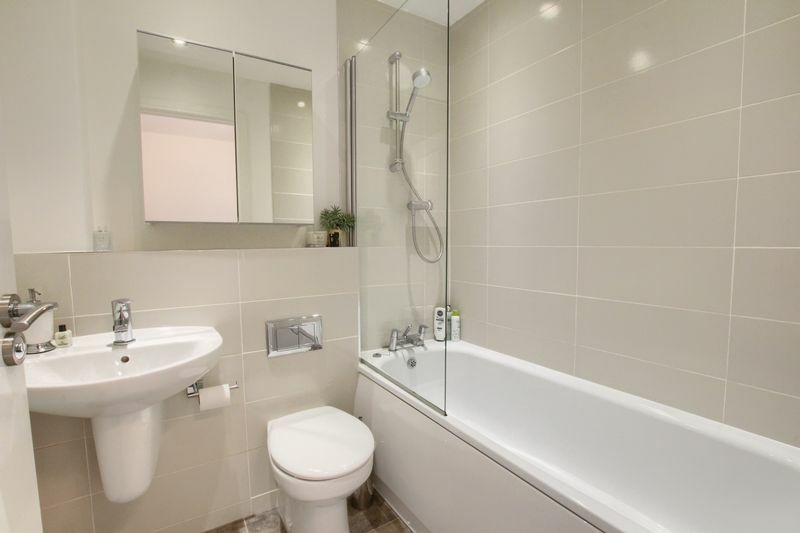 Modern white suite comprising panel bath with mixer tap, overhead shower and glazed side screen, dual flush WC, and floating wash hand basin. Tiled surrounds, extractor unit and down lights. Two designated parking spaces, one located to the side of the property and one located to the rear of the property. The front garden is laid to lawn with a block paved footpath, centre feature with shrubs and plants. 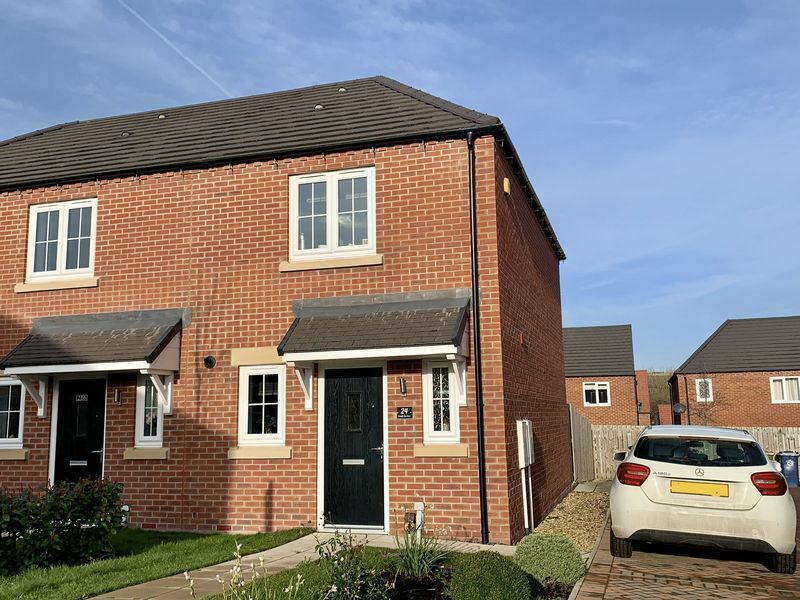 The rear garden is fully enclosed and benefits from a good degree of privacy beginning with a block paved patio area extending to the lawn with side access gate.